Here's what I have been up to this week! 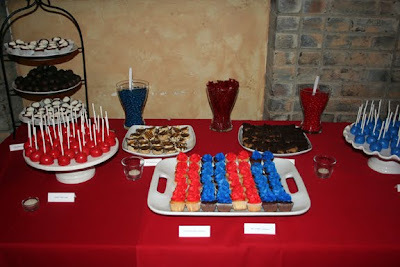 Thank goodness for Rodney, the dessert buffet took up the bulk of my time! All fondant, strawberry cake. 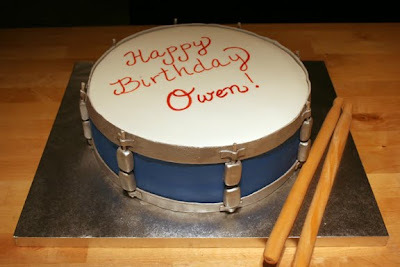 Good thing I have a hubby whose a drummer, this cake would have been too hard to do on my own! This was our girly take on a cake we made almost a year ago! Love the way it turned out! 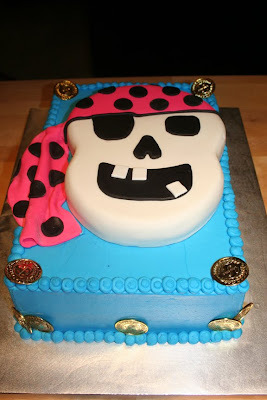 The skull is RKT's covered in chocolate and fondant and the rest of the cake is buttercream! 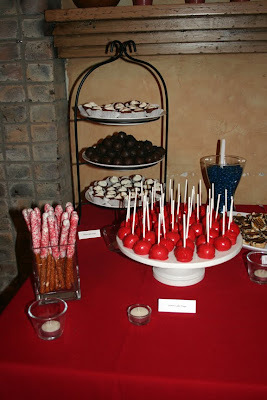 Lastly, here are a few pictures of the dessert/candy buffet I did for my 10 year high school reunion. (which I also happened to organize...never again!) I'm happy with the way the table turned out! Exhausting week! Glad it's over! How do you do this? A child, pregnant - and cakes too! 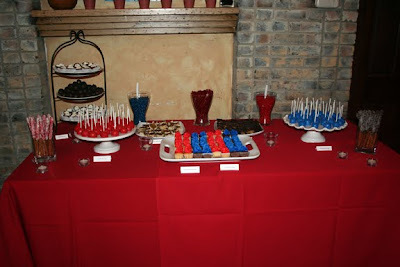 I have a 5 y/o (granted an autistic child) and I had a dinner party for 10 people -- I made several entrees and sides and several desserts - but it took me 3 days to prep and bake and cook)! You are amazing. OMG! What cute cakes!! The drum cake is awesome, and I especially like the Yo Gabba Gabba cake! Keep up the great work! The drum cake looks really good. I thought that it was a really drum. Also I think that the girl skull is nice. 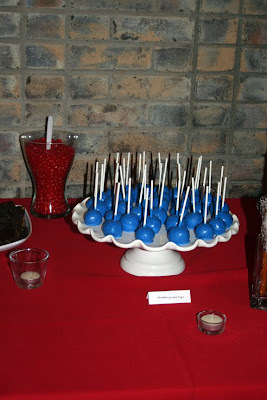 It remind me about the Generic Viagra cake that my friends made in the last theme party.